Washington — Rep. Carolyn Cheeks Kilpatrick, D-Detroit, said Thursday she and a top aide are not targets of a grand jury and will “cooperate fully” after receiving subpoenas. In addition to Kilpatrick, her aide Andrea Bragg received subpoenas to testify before a grand jury in the Eastern District of Michigan. 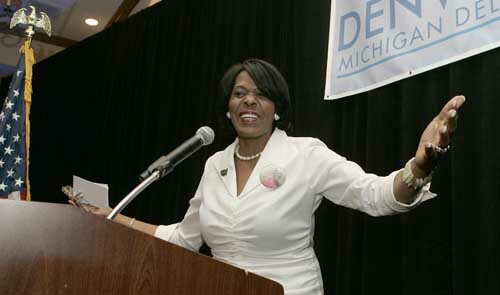 The congresswoman’s son is former Detroit Mayor Kwame Kilpatrick, whose actions as mayor are being investigated by federal prosecutors. Kilpatrick said she’ll have no further comment. 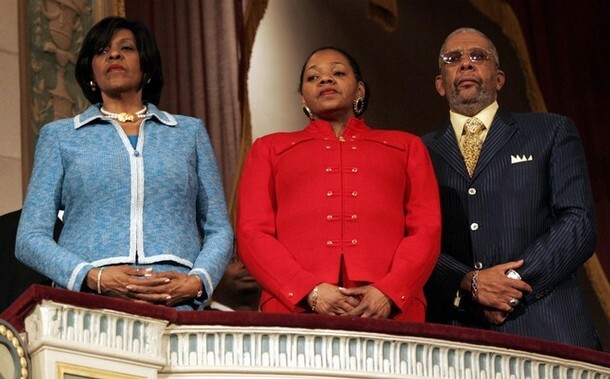 Though grand jury matters are secret, legal observers said Thursday it is likely the subpoenas relate to an ongoing federal investigation of the congresswoman’s son, and possibly her ex-husband, business consultant Bernard N. Kilpatrick. There is no legal privilege that makes communications between a mother and son confidential, and the spousal privilege would only apply up to the time Bernard Kilpatrick and Carolyn Cheeks Kilpatrick were not divorced, said Detroit attorney David Griem, a former federal and state prosecutor. Griem speculated the subpoenas may be related to recent cash fundraising involving tens of thousands of dollars to cover the former mayor’s restitution payments that Cheeks Kilpatrick was involved in, according to media reports. “I’m not sure of the propriety of a U.S. congresswoman spearheading such an effort on behalf of a family member, especially when the money is given in cash,” Griem said Thursday. Most of Kilpatrick’s recent restitution payments from his state obstruction of justice conviction came in the form of money orders, many purchased by family members. Griem said he wouldn’t be surprised if everyone who purchased those money orders was subpoenaed before the grand jury. Washington — Rep. Carolyn Cheeks Kilpatrick and a top aide have been served with grand jury subpoenas requesting testimony in U.S. District Court in Detroit. Cheeks Kilpatrick, D-Detroit, notified House Speaker Nancy Pelosi of the subpoena in a letter March 1 but made it public Wednesday. “After consulting with my attorney, I will make the determinations required” under House rules about how to respond, the congresswoman wrote in the March 1 letter. Members are required to report being subpoenaed, and the House clerk read Cheeks Kilpatrick’s notice as is customary. The reading did not explain the matter in which she was being subpoenaed. Cheeks Kilpatrick’s office said they had no comment on the subpoena or its contents. 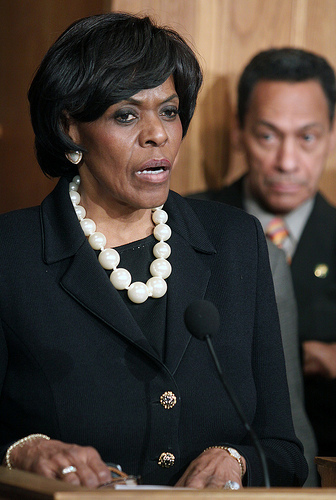 The congresswoman’s son is former Detroit Mayor Kwame Kilpatrick, whose actions as mayor are being investigated by federal prosecutors. 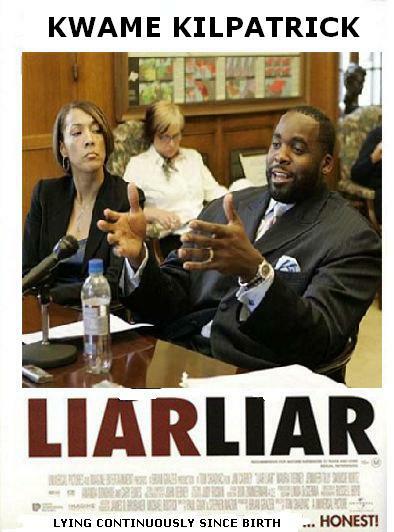 Kwame Kilpatrick’s new spokesman, Mike Paul, who is from a New York public relations firm, said this morning that Kwame Kilpatrick has made no comment about his mother being served a grand jury subpoena. Cheeks Kilpatrick office manager Andrea Bragg disclosed her subpoena to House officials March 1. The notice was published Tuesday in the Congressional Record. Bragg said she would comply with the subpoena while Cheeks Kilpatrick said she is consulting an attorney on how to respond.